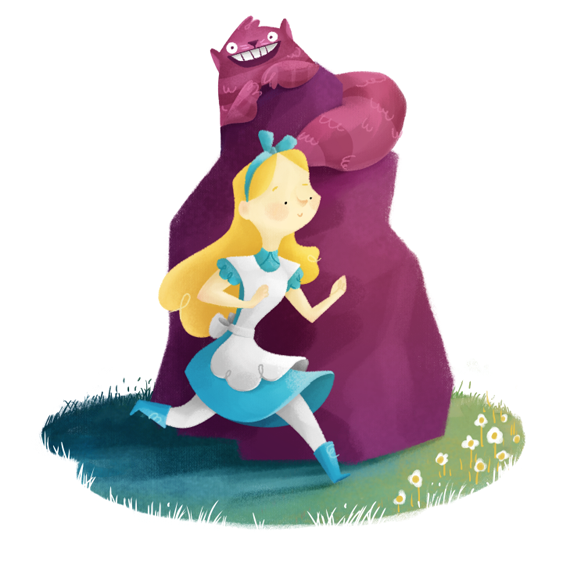 Alice in Wonderland, adapted from the novel by Lewis Carroll, is the 13th film by Disney Animated Studios. Lewis Carroll's book was a great inspiration to Walt Disney who produced several short films based on several segments of the original story. Since the days of the Laugh O Grams, Disney worked on several animated segments called Alice Comedies, which combined live action with classic animation. In 1936 he also released a short film, starring Mickey Mouse, called "Thru the mirror" which finds Mickey having a strange dream after reading Alice through the looking glass. Although the film is very loosely based on the original story, there are some nice gags, and the animation is really great. After this production, the studio worked on several other adaptations of the story, none of which would be released. The first draft for a feature film was written by Al Perkins and the original concept art was made by David Hal. Hal's drawings were very similar to the original illustrations by John Tenniel, very crude in some aspects, but very beautiful. Although this visual style was scrapped, some of his ideas would be used in the final version. 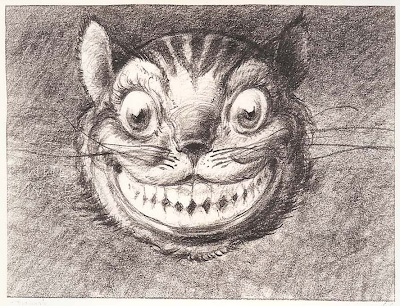 His design of the Cheshire Cat even looks a lot like the Cat designed for the latest movie by Tim Burton. David Hals script was too dark for what Walt had in mind, so the whole project would be put aside. Through the years there would be many attempts to write the perfect script for the film, including a script done by Aldous Huxley, which was scrapped for being too literally an adaptation of the original. Finally, in 1947 the project found the perfect visual style. 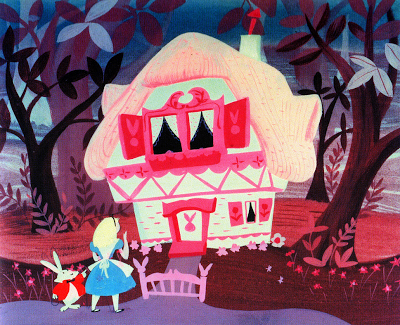 As in the previous Disney features, the style, colors and shapes where done by Mary Blair, who changed the whole visual style for the movie and gave it its crazy look. The characters were mostly designed by Ward Kimball, who was great at making crazy characters, more cartoony than real. He was mostly in charge of Tweedle Dee and Tweedle Dum, The Carpenter and Walrus and The Mad Hatter and March Hare. Along with these awesome characters, came great voices. Probably some of the most notable are those of the Mad Hatter played by Ed Wynn (Uncle Albert), Sterling Holloway (Winnie the Pooh) as The Cheshire Cat , and Alice famously played by Kathryn Beaumont (Wendy Darling). The whole movie was shot in live action as a reference to the animators. Even though most of the time the voices would be rerecorded in the studio, Ed Wynn's performance at the Tea Party was so spontaneous and great that, after trying to reproduce it in the studio, Walt decided to use the original recording for the film. Alice In Wonderland is the movie with most songs in it from the whole Disney Animated Features, and most of them, such as the Unbirthday song, the Caucus Race theme and even some very small frases as "I'm late, I'm late, for a very important date" have become classics. Probably one of the most overlooked scenes is the one with the flowers, which has some great gags and features a lovely song. All in the golden afternoon, composed by Bob Hilliard and Sammy Fain, was named after a poem written by Carroll as an accompanying verse retelling the day on which Wonderland was first imagined. Some weeks before the release of Alice in Wonderland, Walt Disney wrote to producer Perce Pearce saying: "I think it is about as good as can be done with it. I think it is going to be an exciting show. While it does have the tempo of a three-ring circus, it still has plenty of entertainment and it should satisfy everyone except a certain handful who can never be satisfied".